Spring and summer is the ideal time to travel. After being indoors for months during winter, the urge to go out, to bask under the sun, and to discover a new city is huge. Even if you are not bitten by the travel bug, imagine how nice it would be to see the sights and hear the sounds of a new place, explore local restaurants, and stay in a quirky bed and breakfast without spending too much money. Yes, we have a list of six amazing cities where you can get around and enjoy yourself, all for less than $100 a day! 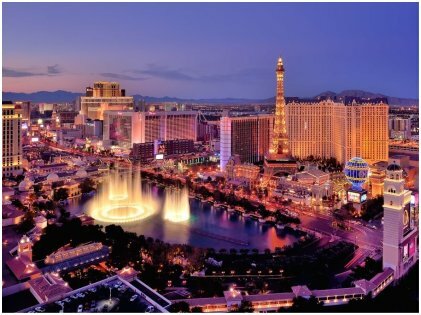 This sin city is a must-visit place for people of every age. There are all kinds of fun that one can have in this gorgeous city — amazing shows, delectable food, themed hotels and finally the casinos. There is no dearth of entertainment in this part of the world. And the best thing is that you can be thoroughly entertained with just about $90 a day! Another good news is that the roundtrip fare from New York also comes under $250, which is quite cheap compared to other destinations. There are lots of free attractions in the city, hence you can spend your money on those amazing eateries. 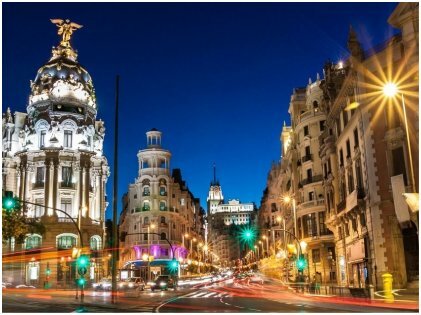 The capital of Spain is a lovely place to be in Europe. The place is steeped in culture, history, and heritage. The local flamenco shows are extremely popular and you can catch one of them either at a restaurant or at a dancing school. Though the local food like tapas and Paella is a must-try, watch how much you are spending on food since a meal at the local restaurant can cost up to $13. However, the expenses for a day can be about $87.42, perfect for our less-than-$100-a-day list. It is a huge city though, and if you really want to explore the lovely museums, then you have to stay for quite a few days. Some cool local hostels will ensure that you’ll be sticking to your budget, too! 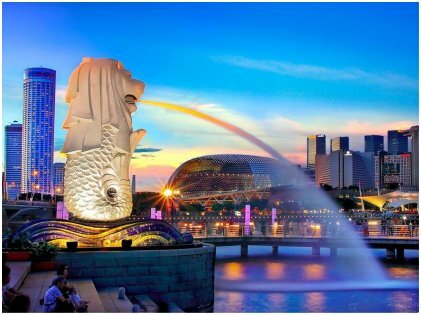 Singapore is a brilliant choice when you want to explore local culture, visit amusement parks, and explore the local food scene. Singapore is as exciting for kids as for adults. 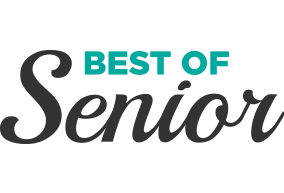 The Gardens, the night safari at the zoo, Jurong Bird Park, Universal Studios, and the show at Sentosa Island are some of the best attractions in Singapore. There are also neighborhoods that are famous for their Indian and Chinese culture. However, since it is quite far off from the USA, the roundtrip airfare might set you back by close to $850. 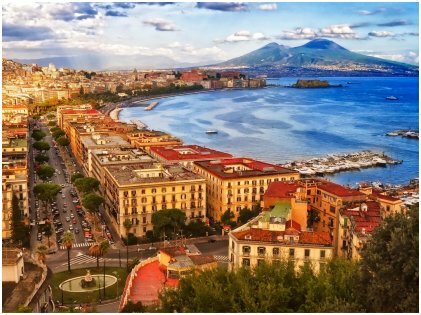 The quaint city of Naples in Italy is one of the best vacation spots in Europe. Apart from exploring the local museums and churches, Naples can also be your base location for day trips to Mount Vesuvius and Pompeii. Hotels can cost just about $40 a night and local commute can be as less as $5 a day. While you are here, do not forget to gorge on the local pizza. This is after all the birthplace of Neapolitan pizza. 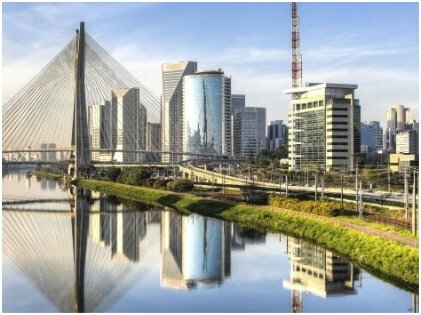 The beautiful city in Brazil has tons of free concerts, street food vendors, nature trails, and cheap hotels that will keep your budget to $63.47 a day. Ibirapuera Park is the top attraction here. If you are using local transport, then expect to spend about $1 each way. There are also a number of museums and local artworks that will keep the culturally inclined busy. 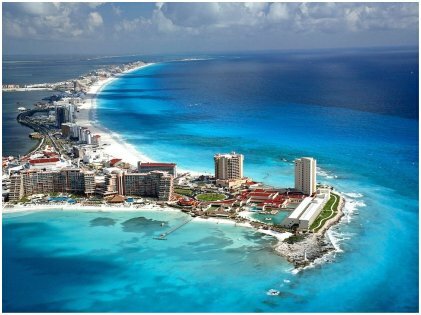 Close to home, Cancun is a very popular destination, especially for tourists coming from the USA. The beach destination can be covered with $54.53 a day. Meals can be as cheap as $5 and a three-course fine dining establishment might cost about $14.37. The Chichen Itza is just a short trip away and tours are available for swimming with the dolphins, too. Nightlife is also quite vibrant here, but the beaches are the main attraction. There are tons of other cities around the world that can be explored with less than $100 a day. But you should keep in mind the airfare when budgeting for your trip. When money is not a constraint, try not spend too much because where’s the challenge in that? Wouldn’t you love to travel for cheap? Start planning now! These Celebrity Kids Inherited More Than Just Good Genes From Their Famous Parents, The Talent Runs in The Family! Hulu Has A Ton Of New Shows & Movies This Month, Making Your April That Much More Exciting!